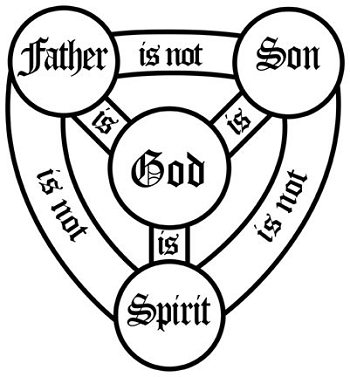 The celebration of the Feast of the Holy Trinity is so complimentary to the celebration of Father’s Day, and visa versa, that the two are placed on the same day. One is celebration the Divine while the other celebrates the human in imitation of the Divine… Huh? “The Christian family constitutes a specific revelation and realization of ecclesial communion, and for this reason it can and should be called a domestic church.” It is a community of faith, hope, and charity; it assumes singular importance in the Church, as is evident in the New Testament… cf. Eph 5:21; 6: 4; Col 3:18-21; 1 Pet 3:1-7 . ~CCC§2204, emphasis added. 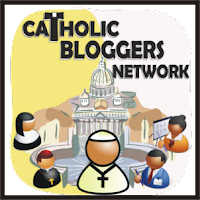 The Christian family is a communion of persons, a sign and image of the communion of the Father and the Son in the Holy Spirit. 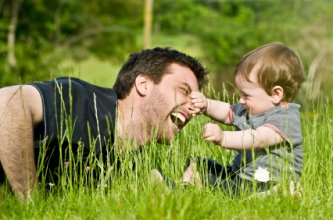 In the procreation and education of children it reflects the Father’s work of creation. It is called to partake of the prayer and sacrifice of Christ. Daily prayer and the reading of the Word of God strengthen it in charity. The Christian family has an evangelizing and missionary task. ~CCC§2205, emphasis added. What was it that Jesus commanded the disciples to do before He was taken into heaven? To Baptize – in the name of the Father, the Son AND the Holy Spirit – and to make disciples teaching them all that Christ had taught. What is the job of the family? To teach their children the Love of Christ and all that He had commanded them. To baptize them (or in most cases, to have them baptized), in the name of the Father, and of the Son, AND of the Holy Spirit. Thus modeling to the world the unity of the Holy Trinity in their LOVE for God and each other! The ultimate end of the whole divine economy is the entry of God’s creatures into the perfect unity of the Blessed Trinity (cf. Jn 17:21-23). But even now we are called to be a dwelling for the Most Holy Trinity: “If a man loves Me,” says the Lord, “he will keep My word, and My Father will love him, and We will come to him, and make Our home with him (cf. Jn 14:23)”. ~CCC§260, emphasis added. that He might sanctify her, having cleansed her by the washing of water with the word, that He might present the church to Himself in splendor, without spot or wrinkle or any such thing, that she might be holy and without blemish. He who loves his wife loves himself. For no man ever hates his own flesh, but nourishes and cherishes it, as Christ does the church, because we are members of His body. Which if the Father, the Dad, Pops…is doing all he can for his family IN the LOVE of CHRIST, then he will have earned the respect of his wife and kids without even trying. So I am giving ALL FATHERS this opportunity to ask for the help of the Holy Trinity so that your life can reflect Christ and His LOVE for the Church. Are you ready? O my God, Trinity whom I adore, help me forget myself entirely so to establish myself in You, unmovable and peaceful as if my soul were already in eternity. May nothing be able to trouble my peace or make me leave You, O my unchanging God, but may each minute bring me more deeply into your mystery! Grant my soul peace. Make it Your heaven, Your beloved dwelling and the place of Your rest. May I never abandon You there, but may I be there, whole and entire, completely vigilant in my faith, entirely adoring, and wholly given over to Your creative action. May God Bless You All with His Abundant Graces!